Volume 1 of our Supreme Shopping Guides. As part of our Supreme 25th Anniversary features, we will be bringing you a selection of Supreme shopping guides with items curated by the StockX Streetwear Team. Each month, we’ll take a look at something new, including the best steals, biggest grails, and items of the year. For Volume 1, we bring you the best of Supreme from 2018 (including items from both the Spring/Summer and Fall/Winter collections). As always, just click the photos to shop. Featuring artwork from 20th century French painter Georges Braque, this set of “Landscape” items easily stands out as some of the most unique of 2018. 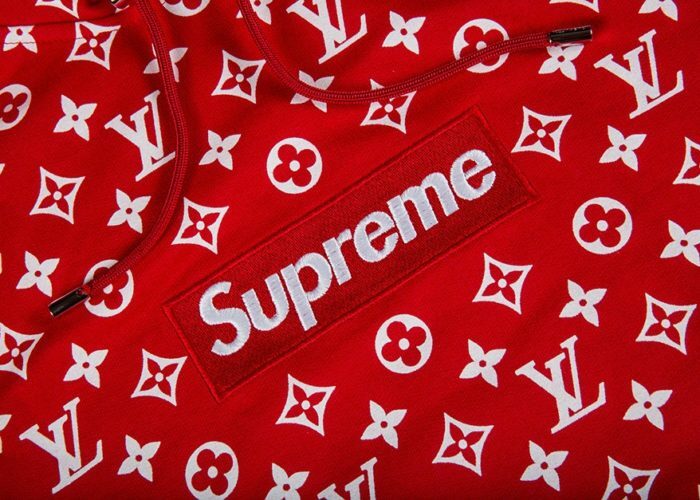 While the shorts can still be had at just above retail, the hoodie has seen a significant price increase since it’s initial drop, increasing from around $250 to over $500 at the time of this writing. 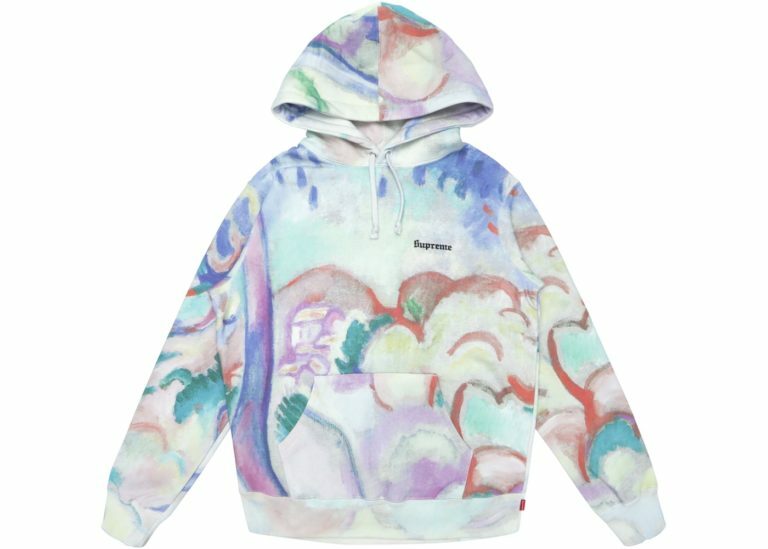 The use of Georges Braque’s 1907 painting “Paysage a L’Estaque” (which sold for 3,890,500 GBP in 2015) isn’t the first time Supreme has released painting-inspired hoodies, as their infamous Le Bain Hooded Sweatshirt from the SS14 season features Manet’s “Le Déjeuner sur l’herbe” from 1863. It’s impossible to create a shopping guide for Supreme’s 2018 seasons without include their Rimowa collection. 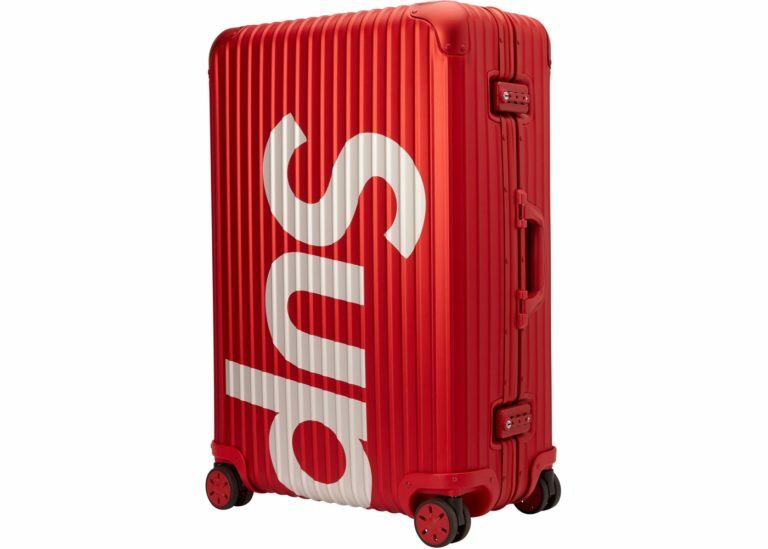 The capsule of four suitcases caused a stir in the streetwear community…not only for their exorbitant retail prices, but also their instantaneous sell out times and subsequent booming resale price. 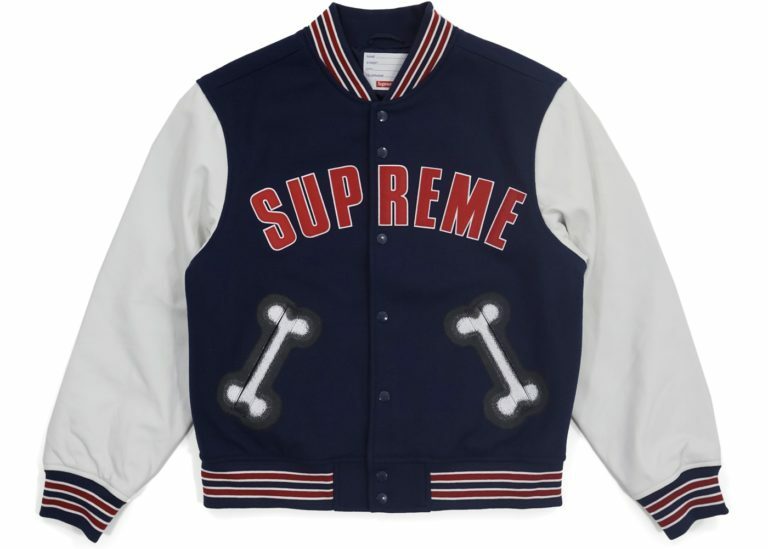 Depending on the size and color, resellers were able to cash in profits of $2,000 – $4,000 per item. Not bad for a day’s work. 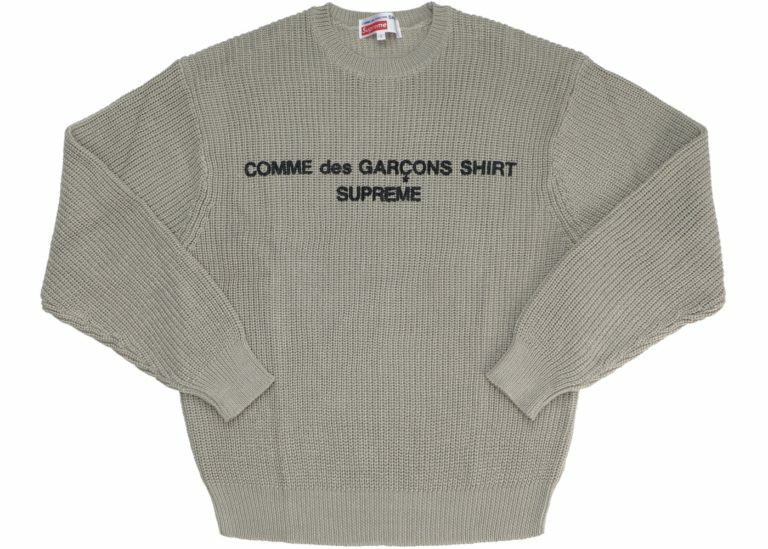 While Supreme’s September Comme des Garcons collaboration was highlighted by box logo tees and hoodies, this simple sweater may have slid under the radar as one of the best pieces of the season. The knit sweater came in three colors and features a simple, clean, and minimalistic design aethstitic, making it one of the most wearable pieces of the entire year. The original retail price of $188 seems like a total steal now, with sales on the tan colorway averaging well over $600 each. It doesn’t hurt that Kanye West was seen wearing the vintage CDG sweater that this was modeled after just a few months earlier. Supreme’s penchant for ridiculous, random, and unique accessories is well documented. Whether it’s an axe, brick, electric guitar, or kayak, each Supreme season seemingly outdoes the last and never fails to disappoint. Arguably the best accessory of the year, this Steiff Bear is equal parts cool, adorable, and collectible. 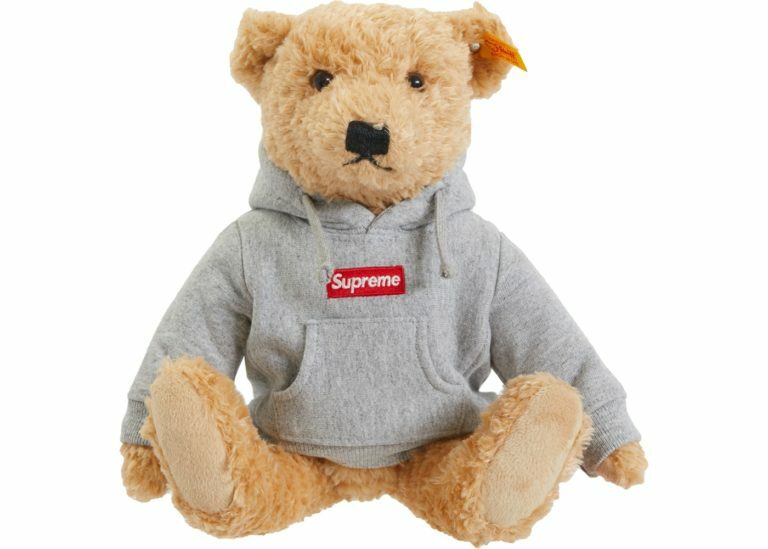 The fuzzy stuff teddy bear dons a red on heather gray box logo hoodie, and the sweatshirt even has Supreme’s classic size tag stitched to the neck. Initially an item that no one really seemed to care about, the Lily Rayon Shirt in Black became an overnight sensation when price premiums skyrocketed shortly after the drop. 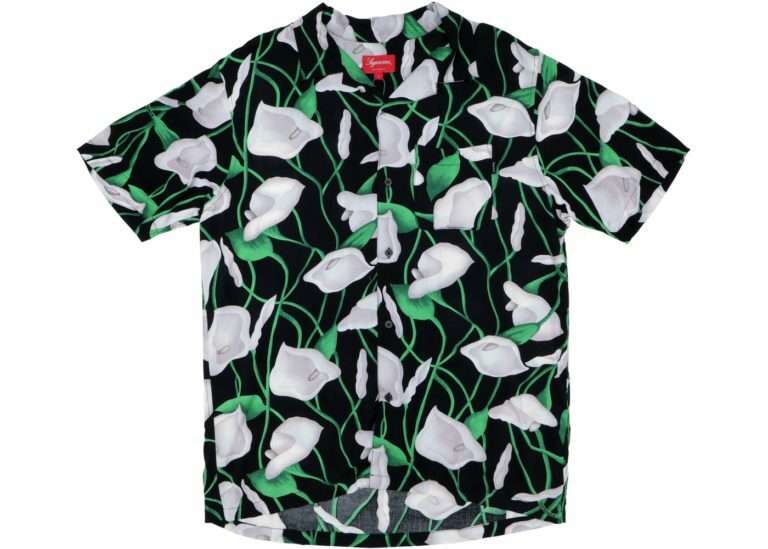 Despite minimal hype pre-drop, this shirt was apparently extremely limited or very slept on (or maybe both). The initial retail price of $138 quickly jumped to $300+ on StockX, an easy 100% profit for those wise enough to cop. We recommend you pick one of these now to stock up for beach season before it’s too late. When Supreme’s Fall/Winter 2018 preview dropped, the community initially noticed a handful of items from a little known artist names Sancheeto. 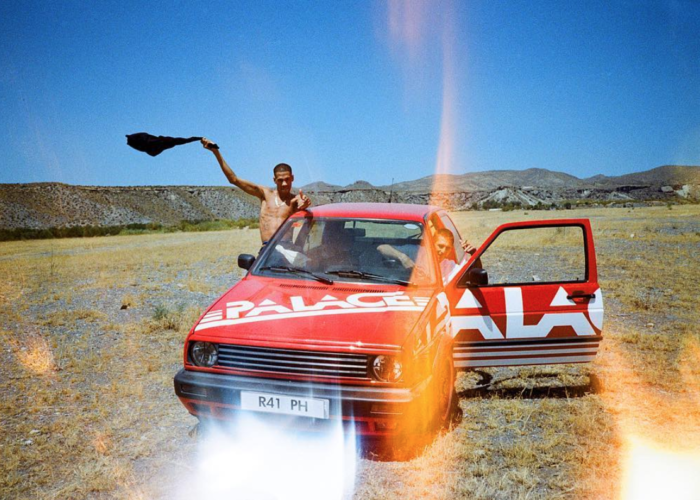 The mysterious artist and designer has a small following, but his pieces have been seen on Drake, Saquon Barkley, and more. Sancheeto’s motifs appears on the hats, hoodies, jackets, and more…a surprising move by Supreme to feature such a small artist on a plethora of items. Only time will tell how these items age as a part of Supreme’s history, but the idea of Supreme putting such a niche artist on the map is something worth supporting in our eyes. 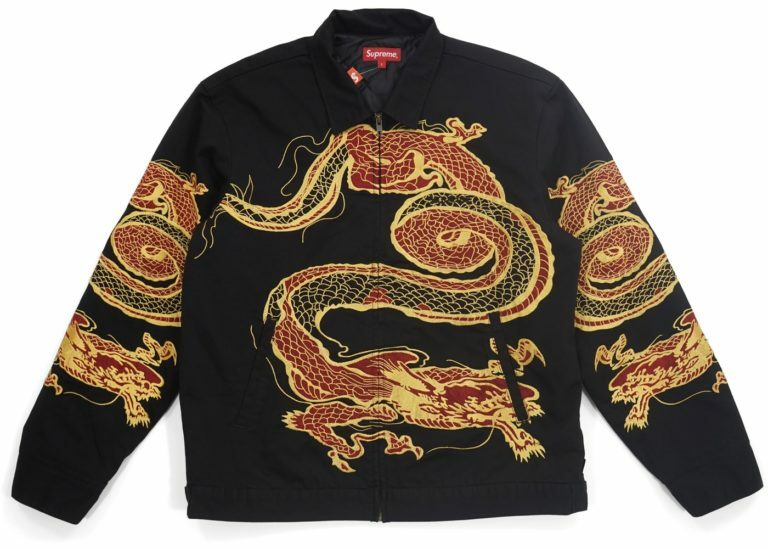 One of the most unique and iconic pieces from 2018, Supreme’s Dragon Work Jacket released on September 20th and features some of the most detailed embroidery work we’ve seen on any Supreme garment in recent years. While post-release prices initially hovered right around the retail price of $278, the black jacket has since increased in price with sales well over $450. Check out the red version and matching pants if you’re looking for the full fit. 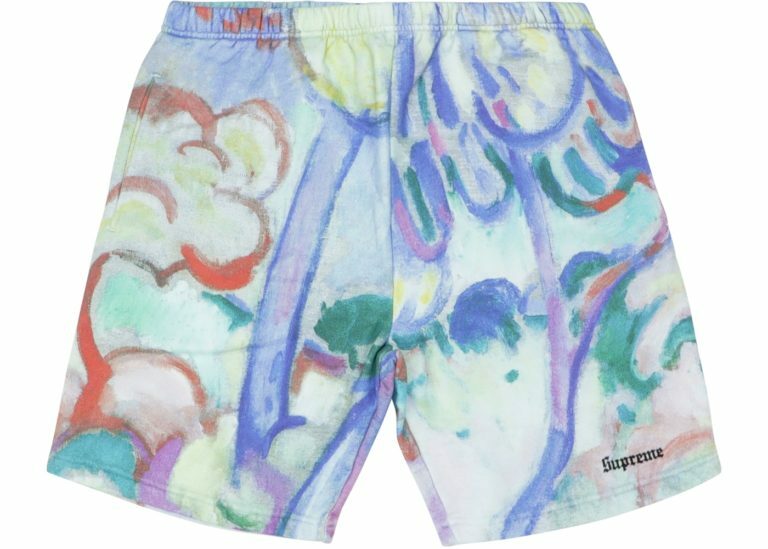 Supreme continued to enhance their rich artist history during 2018 through collaborations with Nan Goldin, Chris Cunningham, and Mike Kelley. 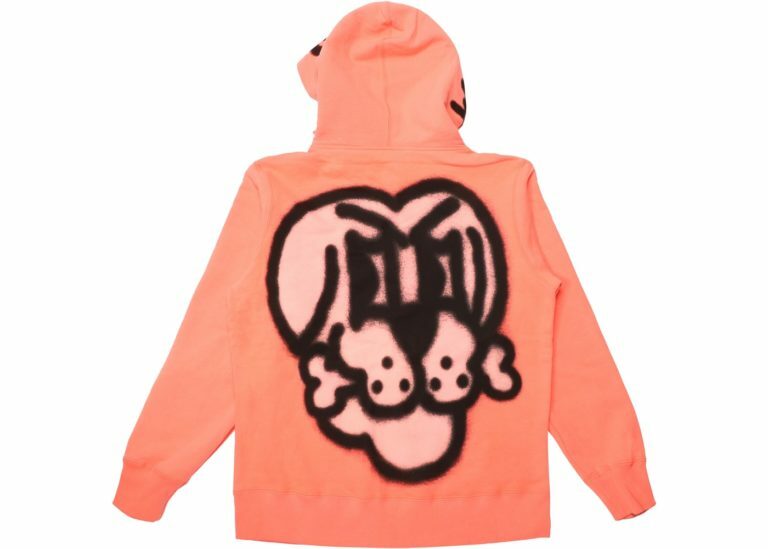 The Mike Kelley collection included dozens of items (hoodies, t-shirts, jackets, and more) but our favorite is his AhhhYouth! Deck Set. 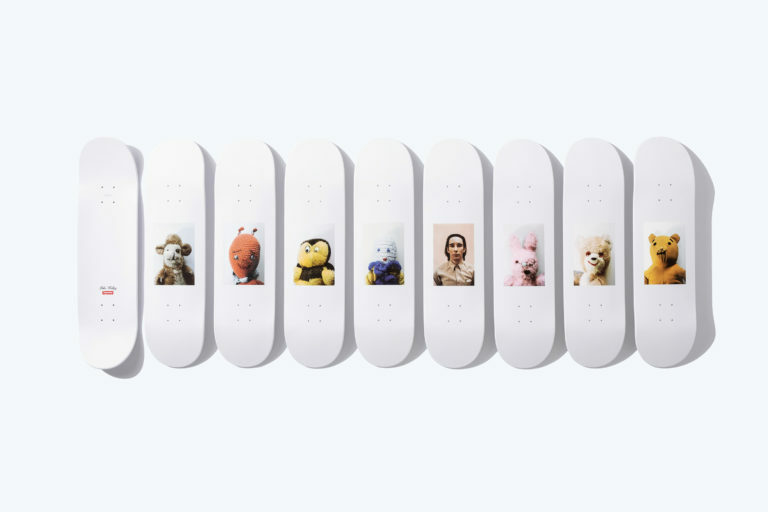 The set of eight decks feature imagery of custom made and reclaimed stuffed animals, best known for being used on the cover of Sonic Youth’s 1992 album, Dirty. The images are featured on clean, all-white skateboards and make a great display piece while still being imminently skate-able due to their affordable price point. While the Natural colorway of the Box Logo Crewnecks was one of the least desirable, the Natural version of the Reversible Logo Fleece Jacket may be one the of the best jackets of the year. With a cozy multi-colored fleece on one side and a clean all-red Windstopper material on the other, this jacket is wearable in many different ways whether layered or as a statement piece on it’s own. Pick this up in time for the Spring weather that’s right around the corner.